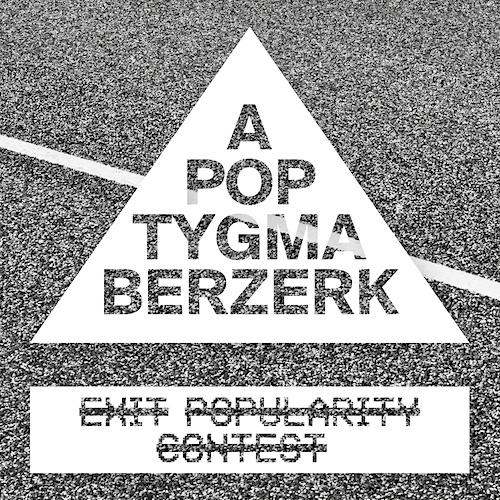 Apoptygma Berzerk released a new album, but made it really difficult for fans to actually listen to the music, by releasing the album ONLY on CD, vinyl and cassette. I kind of respect that, though it also makes me sad that it’s so difficult to hear the songs, which are most likely awesome. I will probably listen to other artists instead, simply because they’re available. The name of the album is “Exit Popularity Contest” and that’s the whole point of this release – an artist should not be all about popularity and “success”. Yeah, I got the point, but I will also miss the music. I guess you can do such things when you already have loyal fans, who are willing to go through all that trouble just to hear the music. Frankly, I’m not sure if I’m one of them. And it feels bad to have to choose between being a “true fan” or “just a casual fan”. I have a collection of more than 900 CDs. There used to be a time when buying the physical album was the only way to get your ears on the music. Sometimes I still like to put a CD on, just to not be able to switch to another album so easily. The CD format encourages you to listen to the whole album, which is far from the norm in this era of ever-shortening attention spans. Just a few days ago I nostalgically reminisced the time when I was a kid and went to the library to listen to the Pet Shop Boys‘ Behaviour on vinyl. Vinyl was already a thing of the past in 1994, but they didn’t have the album on CD yet. The library had a special place dedicated solely to listening to music. I had to be really interested in that particular piece of music to be willing to ride my bike to the library and spend time listening to the album. Just listening, not multitasking. And later I bought the album on CD and played it a lot on my portable CD player. I’m glad that I don’t have to carry a portable CD player with me anymore. 10 years ago that could still be considered somewhat normal. But I still go around with my huge headphones. Some artists have refused to be available on Spotify or other streaming services, and that’s fine, because it’s a lousy deal for a musician. As a music fan, though, I’m finding myself drifting away from those bands. If you get your hands on the new Apop album, tell me what you think of it.